We are delighted to get feedback from our newly-wed bride-and-groom's. It helps us maintain our high standards and continue to build our reputation for putting on a truly memorable day. "Just a quick note to say thankyou for helping to make our wedding day, yesterday, so very nice. The weather was perfect, he venue is second to none and the high tea was lovely.."
"Laura, Angie and all the team at Bennetts Water Garden. I could not let this day go on any further without saying a big Thank You to you all for all you did on our day. It was a massive relief to have our day flow seamlessly and without a problem. Once we had decided to get married, picking a date, picking outfits, deciding on a guest list, allocating roles... was easy, but, one of the hardest things to do was pick a venue that met with our needs. When we told our guests it was a Water Garden they were very surprised, but as it turned out; everyone agreed that it suited our individual needs perfectly and they too would like to revisit the gardens when all in bloom. 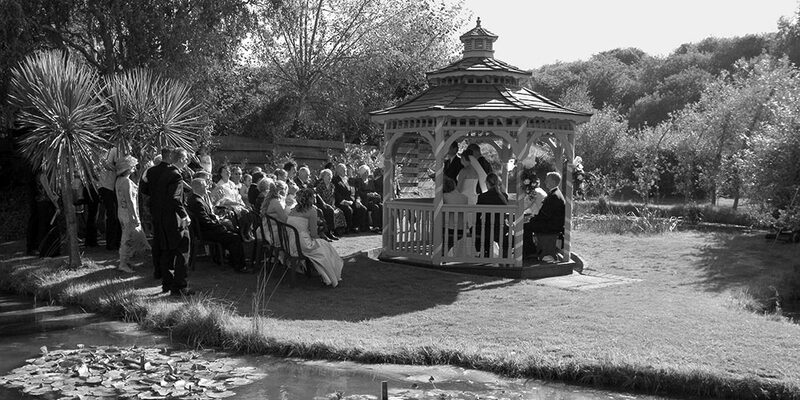 The attention to detail and the service was absolutely first class, and that made all the difference on the day. Everybody wants a wedding day that would be unique or different but most of all, memorable. All our guests remarked and agreed that you guys went that extra mile to help make our day special, we couldn’t of asked for anything more and it was a perfect day. Once again a big thank you and I hope you have a great year."